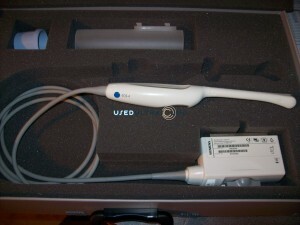 You could spend hours scouring the Internet looking for the right used ultrasound probe for your system and comparing prices from different websites, or you could just take a few minutes and find it at UsedUltrasound.com. 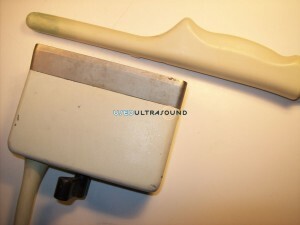 We have an extensive inventory of quality used ultrasound probes and transducers for sale from GE, Philips, SonoSite and many other leading manufacturers, and we have you covered for every ultrasound application, including intravaginal and endovaginal ultrasound probes and transducers. 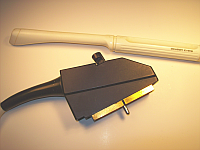 We know that it can be frustrating and time consuming to find the right probes and transducers for your ultrasound machine, so we try to make it easy and affordable. 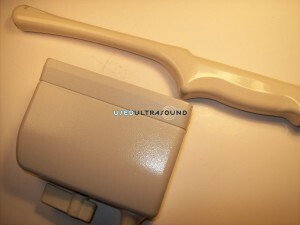 If you do not see the right OB/GYN ultrasound transducer on our website, simply contact us and we’ll go out and find what you need at a great price. 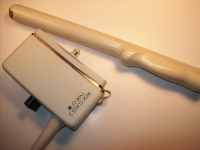 Our inventory of gynecological ultrasound transducers for sale includes virtually every manufacturer, from industry giants like GE ultrasound to smaller manufacturers like Diasonics and Fukada Denshi. We not only sell used intravaginal ultrasound equipment, but we can also save you money with an ultrasound service repair contract. Our service contracts allow you to control operational expenses and help ensure that your equipment is going to be running at peak performance when you need it. We also guarantee your complete satisfaction with everything we sell, because we thoroughly test and inspect every item before we even offer it for sale. 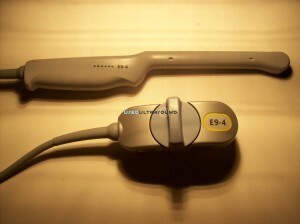 To find an intravaginal ultrasound probe at the lowest price, simply browse through our extensive inventory and make a note of the model you need. Then give us a call or fill out the simple contact form on any page and we’ll promptly provide the current price. We can also provide information about ultrasound financing and shipping, or answer any other questions you have about buying used ultrasound equipment.